In the ever-changing world of home entertainment, custom home theater systems are the drivers behind multi-channel sound systems and high-powered stereo. Thus, a lot has changed over the past few years. Gone are the VHS players and tape decks we used some year ago that delivered our video and audio entertainment. Nowadays, gaming systems, smart devices, streaming devices, and Blu-ray players are the main players. So most people now carry their main video and audio media sources around with them, through tablets and smartphones. Most contemporary custom home theater systems can now house these devices. While custom home theater systems still has many features, it’s all about connectivity. For instance, those receivers with the best connectivity options have been well patronized over the years. This is like the various devices we plug-in to our custom home theater systems. However, the way these devices were connected is gradually changing. Also, analogue connectors such as Ethernet, USB, HDMI and a whole lot of wireless options are taking over. Here, we will outline how custom home theater systems have changed over the years. We’ll point out how they can be paired with mobile devices through the various wireless and wired connection options. Just like HDMI, USB has also been around for a very long time now. The USB supports many different types of computer peripherals or devices. USB is a dependable connection which can also play a valuable role in your custom home theater system. Many home theater systems have ports for USB inputs to easily insert audio sources. As soon as they get connected, the files can be easily access on these mentioned devices for playback. Some custom home theater systems also support many other features like direct playback from the receiver. With most people today who store their music on their computers, smartphones, and tablets. You will appreciate the wireless incorporation which enables direct communication with mobile devices. A very common wireless connection is the Bluetooth. We all know that most mobile devices such as Windows phone, Android, and iOS now support this wireless connection. Bluetooth-enabled audio custom home theater systems allow owners to easily pair up similar portable devices. It utilizes them as an audio source, depending they are around the Bluetooth range. This is exactly 10 meters. As the Bluetooth technology has become more popular over the years, it has now become more effective. It’s consuming less battery capacity from the source components. It’s letting you to fully enjoy many hours of good music streaming without thinking about your charger. Most Internet-connected custom home theater systems enable you to step up your game. Because there are wide range of smart device control applications to choose from. These many apps usually support iOS and Android platforms. 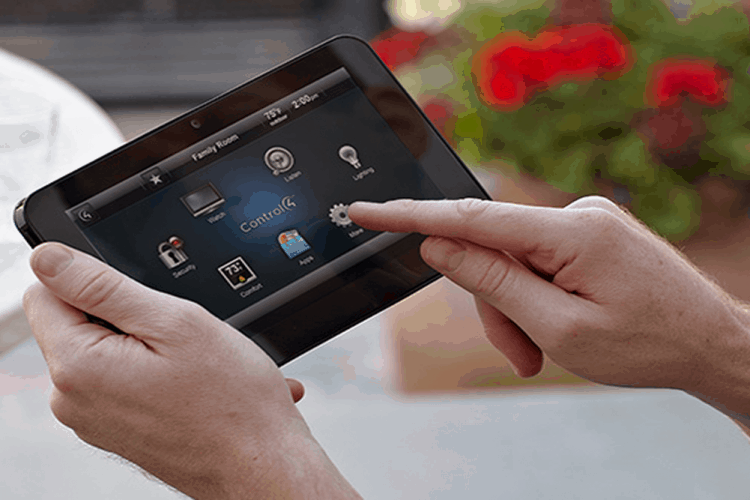 They enable your tablet or smart phone to act as the remote control. Using mobile devices with custom home theater systems makes everything easier and better.